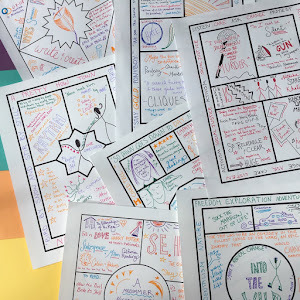 When I offered to write an article about summer professional development for We are Teachers, it was fun to think back over all the different ways I've learned and grown as a teacher over the years. I vividly remember thinking of every day as a new teacher as professional development, and counting to myself how many classes I had already taught. I went from having taught just one class to having taught over one hundred so quickly, and I gave myself credit for every single one. Every moment in front of the class we learn and adjust our strategies to match our students' needs. But there are also a lot of ways to develop away from our students, and that's what I focused on with this article. Summer is coming (believe it or not!) and soon you will be out of the fray and into the gentler days of the off season. But I know after a few weeks you will want to be developing as a professional once more. My favorite summer schedule involves 80% relaxation, 20% enrichment. I like the feeling of accomplishment I get from investing in my future year over the summer, and I bet you do too. Before I link to this article, featuring ten ways you can get that summer enrichment without attending a single conference, I want to tell you something very exciting. It's the ELEVENTH way, and it's by listening to my very own podcast, just out today! The first four episodes are available and I have the next half dozen planned. You can check out The Spark Creativity Teacher Podcast now on iTunes. 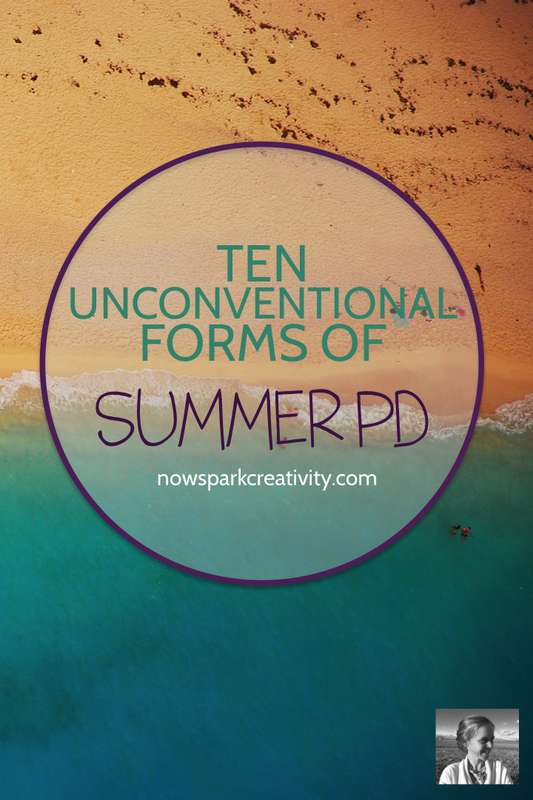 And now, with no further ado, 10 Unconventional Forms of Summer Professional Development, for your reading pleasure over at We Are Teachers. P.S. Need some creative activities to have in your back pocket for busy days, sub plans, and crazy lessons that go way faster than you thought? Have I got something for you!